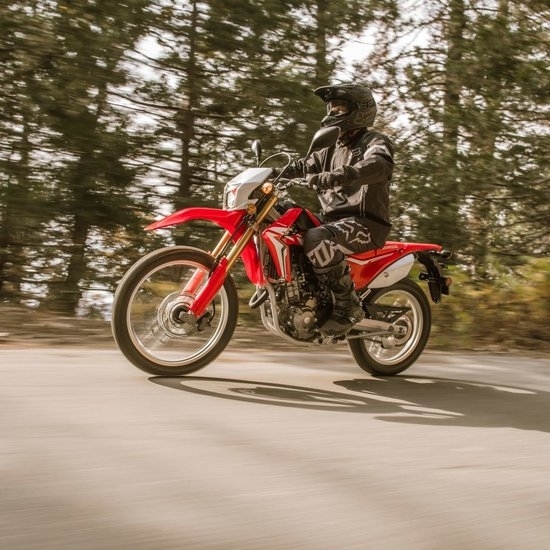 CRF250L Price - just got lower!!! SAVE £470 until the end of September on the price of a brand new unregistered Honda CRF250L. Choose your 68 plate and ride away for under £64 a month. The CRF250L is styled on a motocross bike but comes with practicality of a road bike with long service intervals and less maintenance. It can tackle the rough and also slip through the congested streets, it will take on whatever journey you want to go on.